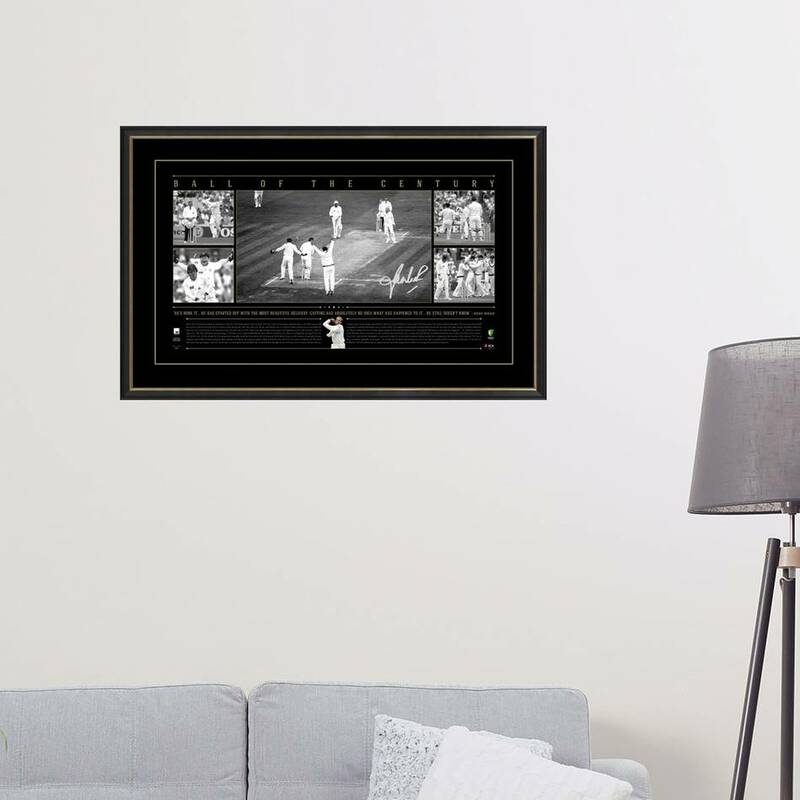 In the English summer of 1993, it only took young Australian leg-spinner Shane Warne two seconds to create a moment everlasting in cricketing folklore, a moment that would irrevocably revive the lost art of leg-spin and change the landscape of Ashes cricket for years to come. With his first Test delivery on English soil, Warne made the ball loop and drift towards leg stump, only to fizz off the pitch, spin past Mike Gatting’s outstretched pad and clip the top of the off stump. Gatting, a renowned player of spin, was left staring at the pitch in disbelief for several seconds, while Warne’s teammates rushed to him in jubilation. As far as first impressions go, ‘The Ball of the Century’ was as ominous for England as they could imagine; Warne would go on and take seven more wickets for the match in a Man-of-the-Match performance, and overall another 194 in Ashes battles, a record that stands to this day. 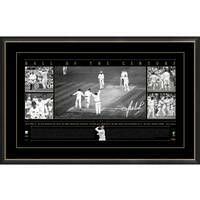 Official Memorabilia, in conjunction with Sport Entertainment Products and Cricket Australia, is pleased to recognise one of Australian sports most memorable moments with ‘Ball of the Century’. Personally signed by Australia’s all-time leading Test wicket-taker Shane Warne, ‘Ball of the Century’ is strictly limited to just 350 editions – with very few remaining from its maiden release during Australia’s most recent home Ashes. Secure yours now – this small quantity will not last long.